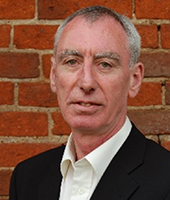 Gareth has over 25 years’ experience of consulting in organisational and leadership development. During that time he has been a senior consultant to the Chartered Management Institute, and Head of Research and Development for a specialist international consultancy. He has led organisational development and change initiatives in many large organisations, including SABMiller; Boots; HSBC; Capital One, as well as UK based organisations such as the Youth Hostel Association; Broadcom; Eurotunnel; Orders of St John Care Home Trust, and many more. He has worked extensively in Europe, Asia and the US. Gareth has worked as an associate for DG international for a number of years, designing and delivering leadership development projects. He has worked closely with DGi on a number of global projects for HSBC and Hitachi, including Working in a Matrix Environment, Managing at Our Best, Developing High Value Business Partnerships and Management Fundamentals, which he has delivered in diverse geographies such as the US, Europe, India and Hong Kong. Gareth has a specialist interest in psychology and motivation in organisational, educational and sporting contexts, and he applies his knowledge of mathematics and research in his approach to organisational issues. He has written books on creativity, problem solving and psychology. Gareth successfully completed his doctoral research in psychology and mathematics education, and now combines educational research with consultancy. He remains active in the mathematics education research community by writing books and papers in academic journals, undertaking primary research, and giving papers at conferences. Outside of work, he is an experienced skier and sailor. Having played football to a high standard, he is now a Uefa ‘B’ qualified football coach and sports psychologist, who works with talented goalkeepers and professional footballers.